This is a fabulous piece. 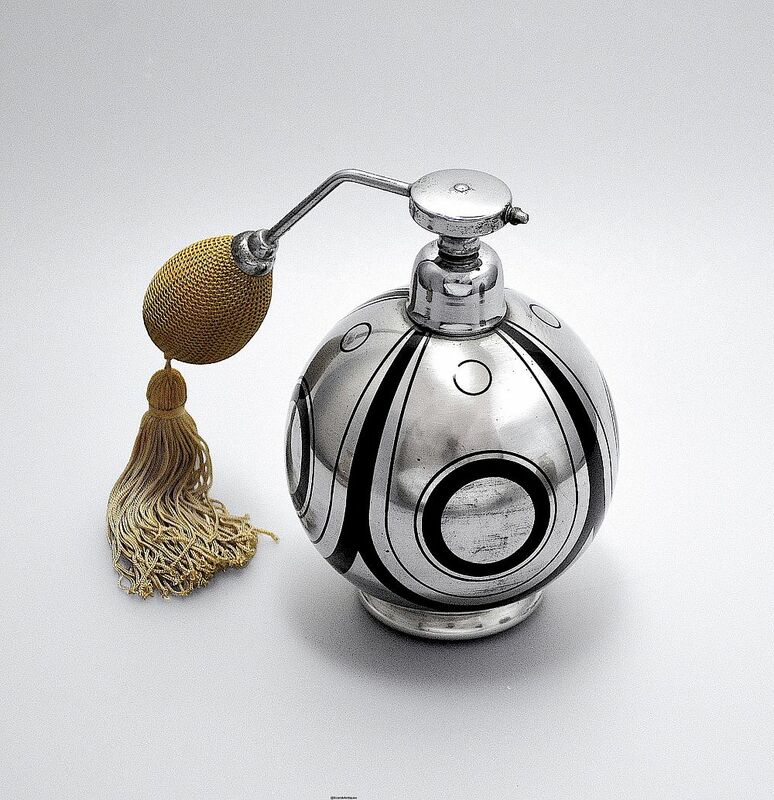 The scent bottle was made during the Art Deco period by the Czech company HEM. The round foot is overlaid with silver and supports the round bottle which is predominately overlaid with silver in a geometric pattern. The bottle is topped by a white metal and beige atomiser. The beige silk has become discoloured but appears to be original. The scent bottle is not signed "HEM" but I have no doubt that it is by that factory. (see the Hem pieces in our Sold Archive for comparison) The base is faintly signed "Tcheco-Slovaquie".